Versatility and style rolled into one! 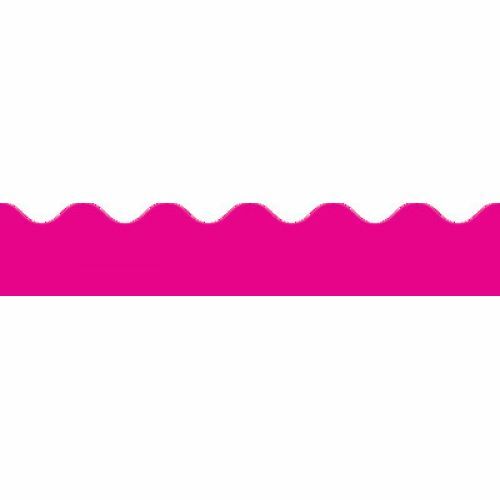 The Hot Pink continuous roll scalloped border offers 36 feet of customizable decor that you can cut and layer to accent bulletin boards, doors, windows, and more. A stylish way to frame, enhance, or highlight any area of your classroom, rolled borders are an affordable and versatile accent. 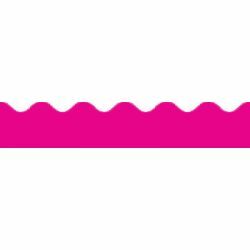 Enhance bulletin boards, highlight displays, and frame artwork with the vibrant Hot Pink continuous roll scalloped border. Each continuous roll scalloped border measures 36 feet x 2.25 inches.